CHICAGO (Nov. 21, 2017): – (RealEstateRama) — The Chicago Housing Authority (CHA) Board of Commissioners today approved the addition of 353 apartments to its Property Rental Assistance Program (PRA), expanding the number and locations of apartments to renters seeking affordable housing. The housing, co-developed with a number of development partners, will bring new affordable housing for veterans, seniors and families across the city, from Rogers Park to Roseland and the Near North Side to Englewood. 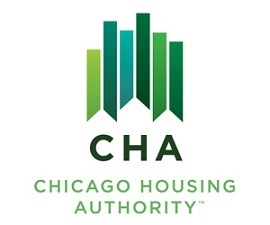 Under the Property Rental Assistance (PRA) program, CHA provides rental subsidy assistance to create affordably-priced apartments in both new construction and rehabbed properties to ensure that low-income Chicagoans have quality housing options as many communities as possible. CHA’s support for these units will provide long-term rental subsidy contracts, thereby keeping these units affordable. • 6145 North Broadway Apartments at 6145 N. Broadway in the Edgewater community. Developer City Pads, LLC and Catapult Real Estate Solutions, LLC are planning a 105-unit building for families with up to 22 CHA PRA units. • Mark Twain Apartments at 111 W. Division St. in the Near North Side community. Developer The NHP Foundation will rehab, modernize and preserve the 148-unit Single Room Occupancy (SRO) building. The building was part of the City of Chicago’s SRO Preservation Ordinance in which owners provided notification to tenants and affordable buyers of the plans for sale. Through NHP Foundation’s partnership with CHA, all 148 units will be affordable. • Warren Apartments at 1527-33 W. Warren Blvd. in the Near West Side community. Developer Heartland Housing, Inc. will build a new 75-unit apartment building on vacant city-owned land for families with up to 25 PRA units supported by CHA. • Clark-Estes Apartments at 7070 N. Clark St. in the Rogers Park community. Developer Ross Financial Services will build a 54-unit new apartment building for families with 15 PRA units supported by CHA. • Englewood Phase I Apartments on South Halsted Street between 59th and 63rd streets. Developer KBK Enterprises will construct an 80-unit building for families. CHA PRA will assist 20 units. • Montclare Veteran’s Village of Roseland at 11026-28 and 11027-47 S. Eggleston St. in the Roseland community. Developer MR Properties, LLC will build a 75-unit building for veterans. The development was awarded 75 VASH vouchers from the U.S. Department of Veteran’s Assistance. CHA will serve as the administrator of the VASH vouchers. The development supports Mayor Rahm Emanuel’s Ending Veteran Homelessness Initiative. • Montclare Senior Residences of Calumet Heights at 9401 S. Stoney Island Ave. in the Calumet Heights community. Developer MR Properties, LLC will build a 134-unit senior building with 34 CHA PRA units. • Cicero Senior Lofts at 4801-57 S. Cicero Ave. in the Garfield Ridge community. Developer Miller-Valentine Group will build a 62-unit building for seniors that will include 15 CHA PRA units. Construction on the majority of projects will begin in 2018 and be completed in 2018 and 2019. The Chicago Housing Authority provides homes to more than 50,000 families and individuals, while supporting healthy communities in neighborhoods throughout the city. CHA has utilized the flexibility of the Moving To Work agreement to test innovative, locally-designed strategies that use federal dollars to more efficiently help residents become self-sufficient and to increase housing choices for low-income families. As a result, CHA families are more successful than ever before. In 2000, 15% of work-eligible heads-of-household were employed. Now more than 58% are employed. Also, the annual income of employed heads-of-household has doubled to more than $19,000 a year.